🇫🇷 STUDENT ZONE PRAGUE presents the biggest French party in town at the best rooftop club in Prague! 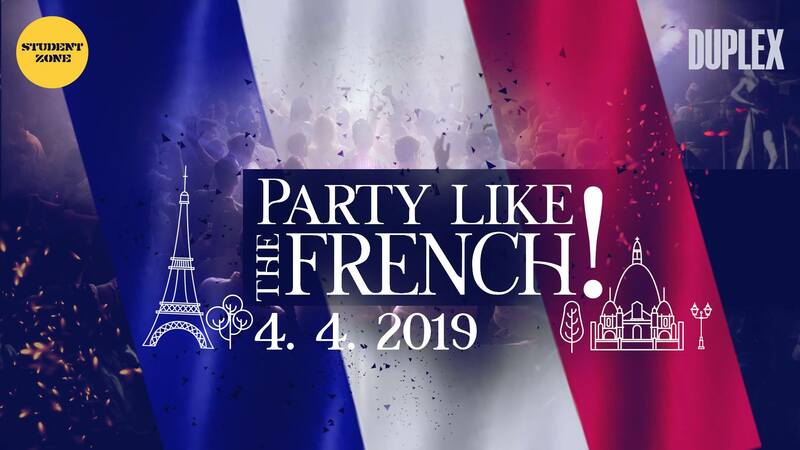 🇫🇷 Come to challenge your French friends and enjoy the French night with special music playlist and traditional glass of wine as welcome drink! 🇫🇷 Exclusive rooftop venue: Duplex – right on the Wenceslas square with amazing terrace and views over the city center!